this hefty Pan & Box Brake will set an angle up to 135 degrees in 12 gauge mild steel. 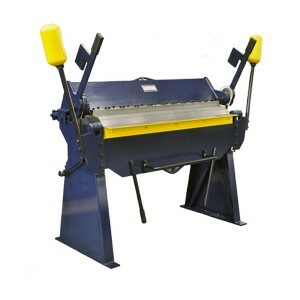 Weighing over 1200 lbs,it is the perfect tool for heavy-duty bending. Approximate shipping wt. : 1276 lbs. Packing size: 69" x 30.3" x 35.4"